We all do it. We all have days when we are struggling, when we are tired, when we are done with life but we put a smile on our face and go on with our lives. It's all about making everyone else think that we are okay that nothing can possibly bother us. But this isn't reality, this is a world much like dress up with everyone in their nicest dress. People are always putting their best foot forward, but the best people are the people with depth, the people with stories of struggles and challenges. These are the type of people I want to be with. I guess the point that I'm trying to make is that we have to look deeper than the surface, we have to be understanding and not be afraid to show people who we are. I know I've been doing this a lot in college. Especially freshman year, college is all about good first impressions. You're always meeting people and wondering what they think about you. But I'm just getting tired of constantly only seeing people's good side, I don't know the last time I've seen someone cry. I want to see people being vulnerable and admitting that they are struggling. Not because I want to see people struggle but because I want to see the deeper side to their personality, I want to learn about what makes people tick and what makes people enraged. And I want people to see me in that light. I want people to understand who I am and what makes me who I am. I want people to understand why friendships make me nervous and why I've never been in love. I want people to wonder about me. I want people to try and figure me out. I feel that in this day in age it is so easy to judge people based on nothing but how they look on their Instagram page, but we should never judge a person until we've walked a day in their shoes. Because sometimes the people with the biggest smile have the biggest story to tell. You can't possibly understand anyone's situation until you've lived it. We should all focus on being understanding and loving. Showing people that we want to get to know and care about their past and their story. This is how we form real bonds and connections. I love the following quote because I feel like it encapsulates everything perfectly. Let's not be worried about how we look to others, let's not worry about putting on a pretty face. Let's just be who we are: laugh at stupid jokes, share your story, and help a friend. 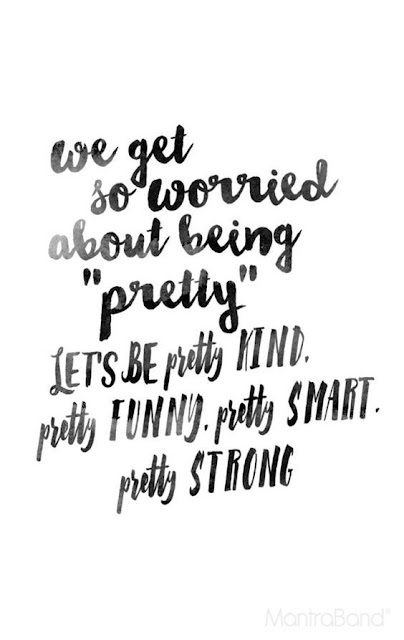 When you do these things people will look at you and they will say, that girl is beautiful inside and out. And who doesn't want that? I hope you all enjoyed this post! I really just needed to pour my heart out on the subject because it's been on my mind a lot lately. If you like these posts definitely let me know in the comments below because I love writing them! But for the rest of you, I promise some really great outfit and advice posts are coming this week! went in for sports. And this number of activities within the walls of the college constantly exhausted me..